There's something timelessly cool about a supercar with a manual gearbox. There's the romance of an Italian open gate, the drama of seeing them in feature films and, more recently, the realisation that automated manuals have aged as well as the compact disc. Modern methods are more efficient, the older ways are more satisfying to use. Now in a world where even the B-segment hot hatch is being denied the manual gearbox, the prospect of a high-revving, mid-engined, V8 sports car with three pedals is even more enticing than it's ever been. 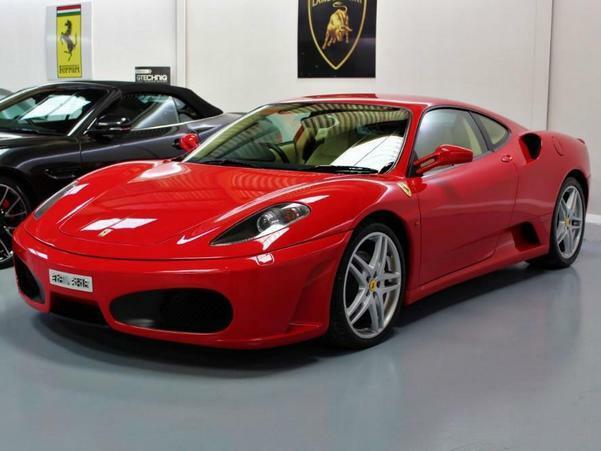 When even Ferrari couldn't get the F1 gearbox right until the very end - the 430 Scuderia typically regarded as the best installation of the technology - something like this F430 looks, arguably, better than it ever has. It has the further advantage of being from that era of post-millennium but pre-financial crisis where engines, power outputs and size, well, just sort of worked. A 360 Modena from before the 430 will be nearly 20 years old now, and the 355 - lovely thing though it is - could well feel a bit lacking given the current performance of fast cars. Jump ahead and the 458 had very nearly 600hp. 'Sweet spot' is a trite phrase, though there's something in the F430, lacking turbos and still offering that manual gearbox, that must surely appeal to a decent chunk of enthusiasts. Both it and the 599 of the same era are from that transitory phrase in Ferrari's history, where science and aerodynamics were beginning to have an influence, yet at their heart they were still quite traditional supercars - the combination of old and new now looks very intriguing. Because there's going to be a Race mode, and traction control, and (you would hope) sufficient durability to make regular use feasible, but also with the distinctly old-school vibe offered by the powertrain, gearbox and dimensions. Now nobody will ever claim the 430 as one of Ferrari's greatest designs. This one does at least counter with the go-to Berlinetta spec - Rosso Corsa with Crema - a Challenge-style rear grille as well as a seemingly peerless condition and comprehensive service history to back up its 38,000 miles. And yes, £100,000 will look like huge money when it's remembered this is basically what the car cost new, but that reflects the significance these cars now have. After this was the saw the advent of more technology and more performance, the cars of the 2000s the final link back to those manual icons that so many grew up with. 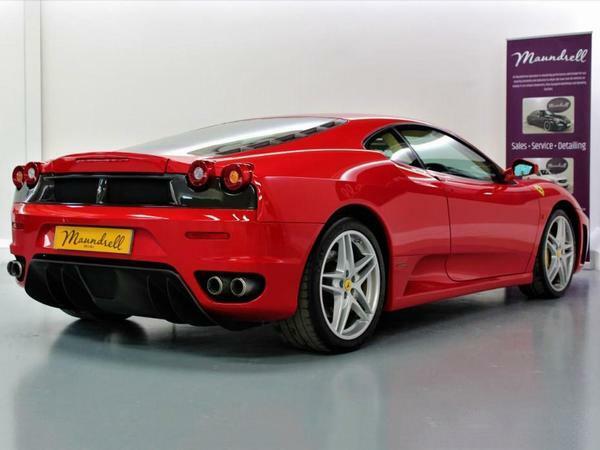 And if this looks a lot, bear in mind that F430s with fewer miles have been advertised at anything up to £150,000; furthermore, a manual 599 GTB made $500,000 at auction last January, and a California manual more than $400,000 in 2016. The demand is already there for manual, modern Ferraris, and only looks set to grow as the future arrives and the past looks ever more distant. LP-550-2 had a manual option? 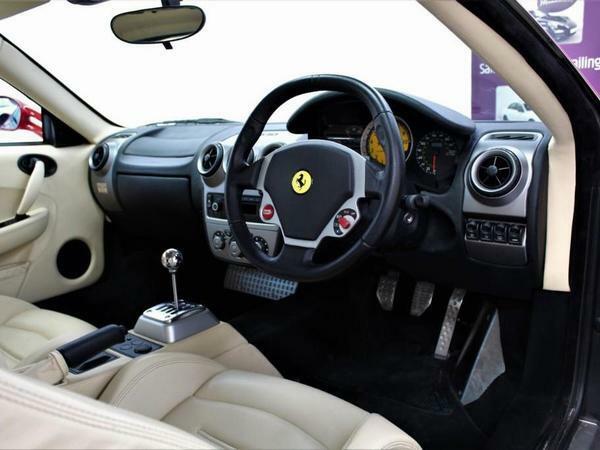 What's the British obsession with Creme interiors in Ferrari's? Old man magnolia-bizzare. I also think the 430 lost some of the delicate good looks of the 360 that preceded it but these are all semantics I guess-if nothing else at 38k miles it's nice to see a car that's been enjoyed. Was never really a fan of the 430 when it came out, just looked a bit fussy... But I think it's aged well, unlike the 360.